Although, our teeth aren’t addressed as often as the rest of our body is, the effects of smoking on our teeth and oral health are dangerous. We all know that smoking is bad for our health, but many people tend to forget the impact it has on our dental wellbeing. 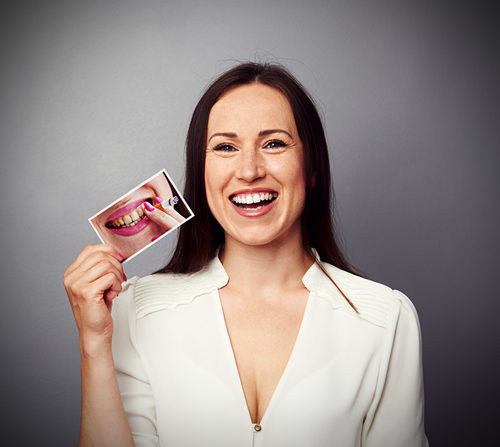 One of most common issues smokers face is the discolorization of their teeth. Many efforts are made by organizations and governments to curb the tobacco epidemic, but a lot of work needs to be done in order to reduce this habit. Let’s look at various treatment options that smokers have to reverse discolorization of their teeth. Whether you are a smoker or not, practicing proper dental hygiene by brushing and flossing daily, and getting professional teeth cleaning every 6 months is good for your oral health. The frequency will also depend on your dentist’s recommendation after examining your teeth. The most common treatment a dentist would recommend is the use of an ultrasonic toothbrush, which is said to be effective in removing stains caused by smoking and food. If you are looking for the easiest option of whitening your teeth, your dentist can easily remove teeth discolorization caused by smoking and food/drinks. The process typically takes an hour to complete and costs an average of $700 per visit. The total number of visits depends on how stubborn your stains are. Many dentists believe that a take-home whitening kit is more effective and produces better results in the long run. Home whitening is usually done by using gels and strips. The process is fairly simple where your dentist makes a custom-fit or standard mouth guard and whitening gels are used alongside to enhance the process. The gel is a lower-concentration peroxide based formulation. It is recommended that you leave the gel on for an hour or two and use it four times a week, depending on your desired results. A take-home kit is a great option for smokers as it gives them the opportunity to go about their day without having to put their day on pause. This procedure is cheaper as it costs between $100 and $500. You need to make certain lifestyle choices that can help prevent tooth discolorization and keep your teeth white after your whitening session. One of the most important steps for smokers is to reduce and quit smoking. Another way to prevent discolorization is by reducing the consumption of stain-causing food and beverages. Try to cut down on coffee, soda and cigarettes. Smokers need to know that smoking will have an impact on their physical and oral health. We live in a time where there are many options available to counter discolorization. Find out which one works best for you and try to change your lifestyle to reverse the damage smoking has done.